For the fiction biography of Barbie, click here. Barbie was first launched for sale. Created by Ruth Handler, wife of Elliot (co-founder of Mattell). Before creation, inspiration led as Ruth would watch her Daughter Barbra play with her paper dolls, giving them adult roles. She did as any good mother married to a co-founder of the toy industry would do. Suggested an adult bodied doll. Elliot (along with other Mattel executives) were unsure of the idea. In 1956 the Handler family took a trip to Europe. On that trip, they discovered the inspiration that led to the creation of Barbie dolls. A German doll (Bild Lilli) caught Ruth's attention. Lilli doll had an adult body, and created of plastics. Knowing her daughter would fall in love, Handler purchased three of the dolls. Giving one to daughter Barbra, and the others to Mattel for observation. Personally I would have bought an additional one for myself, just sayin'. Bild Lilli doll was a pretty blonde who knew what she wanted in life, and refused the use of men to get there. Maybe why Ruth had no interest to have one for herself... JUST SAYIN'! Shortly after observation, Mattel had redesigned the doll putting her on the market. Barbie had officially set sail. 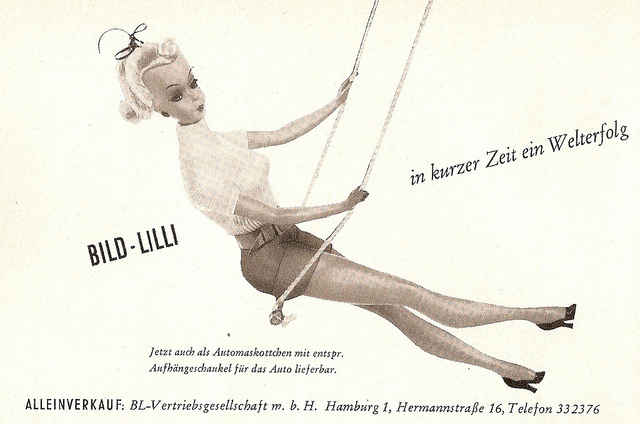 The rights to Bild Lilli were acquired by Mattel in 1964, and manufacturing of the German doll came to a halt. I find it bizzare they got rights to a doll that is almost identical to their's. Barbie first debuted as a "Teen-age Fashion Model" with selection of a blonde or brunette (Why no red-head? I wonder the same thing). Wearing a zebra stripped one-piece bathing suit, and rocking her signature pony tail. Charlotte Johnson designed Barbie's clothing, while manufactured in Japan (hand-stitched by Japanese homeworkers). Approximately 350,000 dolls were sold the first year. In 1971, eyes were made to look straight forward instead of the original side glance. The never struck me before. I did however always think there's something peculiar about the classic doll that I can't quite figure out. Controversy arose as parent's felt the doll wasn't a good role model, in result of unrealistic body image. Barbie's vital statistics have been estimated at 36 inches (chest), 18 inches (waist) and 33 inches (hips). 5'9" tall, and weighing 110 lbs, Barbie would have a BMI of 16.24. A BMI of 18 and under is considered to be severely underweight. If the doll was an actual human being, she'd be 35 pounds underweight. Never understood how on earth parents just happen to recognize an unrealistic human version. She's a doll, and looks normal size. However, in 1963, the outfit Barbie Baby-Sits came with a book entitled How to Lose Weight which advised: "Don't eat!". As if this wasn't scary enough, a pink bathroom scale permanently set at 110 lbs was included in another ensemble called "Slumber Party" in 1965. Barbie's body mold was redesigned and given a wider waist in 1997, with Mattel saying that "this would make the doll better suited to contemporary fashion designs." Is it just me, or maybe the accessories are more of an eating disorder risk than Barbie's vital statics? Barbie Syndrome No, it's not like the Sylvia Plath effect. Barbie syndrome is the desire to obtain Barbie's physical features, as well as her un-realistic lifestyle. 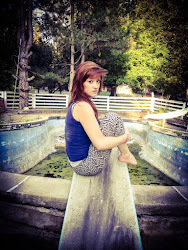 Affecting pre-teens and adolescents. Sound phony? The news showed a clip on real life Barbie (Valeria Lukyan, 23) who clearly has the syndrome. Lukyan not only looks like the doll, she actually has some interesting talents. Including her ability to opera sing. Girls not bad. Another "real life doll" (Anastasiya Shpagina, 19) models herself as an anime character. Spending hours doing make-up on her eyes and allegedly considering surgery. Besides Barbie's image, I see no problem in an aspiring astronaut, flight attendant, teacher, etc...in a child. To this day, Barbie is a cultural icon. Received rare honors including a one-week replacement street name "Barbie Boulevard" in Times Square 1974. If I were around back then, I'd definitely go check that out. But wait, there's more! 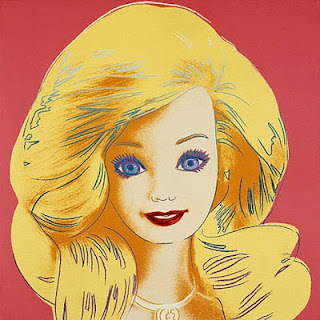 About a decade after, a painting of Barbie was created by Andy Warhol. As if this wasn't enough, the first themed restaurant "Barbie Cafè" was opened this year, 2013, in Taiwan. From an illness, street name, portrait by Warhol, and even a restaurant opened in her honor. Barbie is the most known doll in existence, and always will be. First time to read a biography of Barbie. Barbie has been the most popular doll and years after the doll was created no doubt that Barbie has been a big influence to, us, young ladies. Unfortunately, barbie has distorted the women body image. However, Barbie will always remind us of our childhood years.